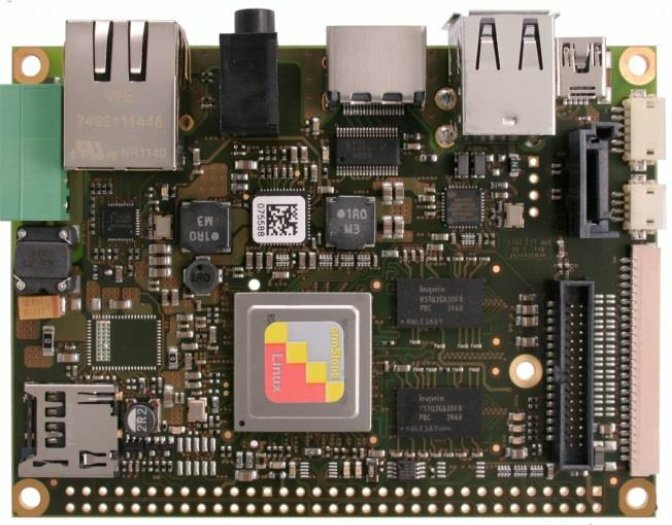 F&S Elektronik Systeme GmbH has announced the armstoneA9, a pico-ITX board featuring Freescale i.MX 6 Solo/Dual or Quad Cortex A9 processor with up to 4GB DDR3 SDRAM, and 128 MB flash (1GB+ flash optional) that available in both commercial and industrial temperature range. The company already supports Linux 3.0.35 for the board (uboot, BSP, interface drivers, Qt, Streamer) and Ubuntu, and Windows Embedded Compact 7 (WEC 7) should be available soon with the bootloader, kernel, SDK, and interface drivers. armStoneA9-SKIT is the starter kit for development which includes the board, cables, a micro SD card, and access to the download area of the site with software and documentation. The standard versions of the board include 1GB RAM, 128MB flash, but the company can provides customized version, for example with 4GB RAM, for order of 100 units or more. I could not find pricing nor availability information for the board. Further details may be found on F&S armStoneA9 page.